The Town of Albany worked with The Trust for Public Land to create a 300-acre town forest on the eastern edge of the White Mountain National Forest. Protecting the land from development preserves the backdrop of part of the scenic Kancamagus highway, an American Scenic Byway. In January 2012, TPL transferred the land to the town and the Upper Saco Valley Land Trust will hold an easement allowing sustainable timber harvests to generate revenue for the community. 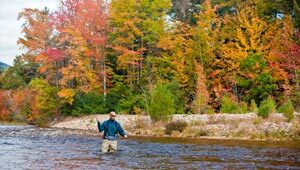 The town forest will support community access to the forest's trails and protect over a mile of frontage on the Swift River—a popular area for fishing, boating, and swimming.